As some of you may know, I am, to say the least – a very dedicated döner kebab eater. Some may call it a slight addiction. Truth is, I’ve scavenged every corner of Berlin in search of the best and most delicious döner and during this journey I’ve devoured a lot crap kebabs and a few great ones. Whenever somebody asks me to take them to my favourite döner kebab place in Berlin, I usually eventually end up at the same place: Imren, the Berlin food institution and sanctuary of quality kebab döner culture. 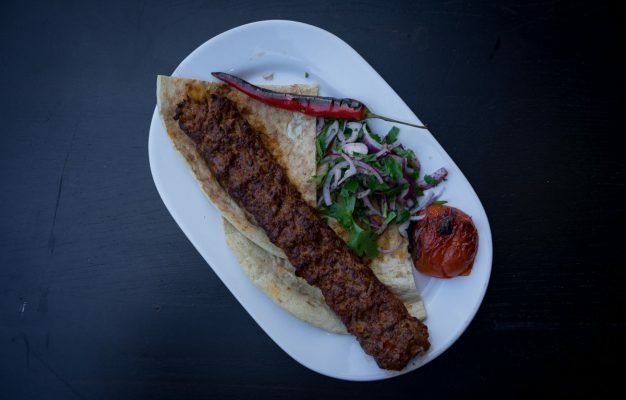 Imren is essentially the döner kebab joint that sets the tone for all the others. 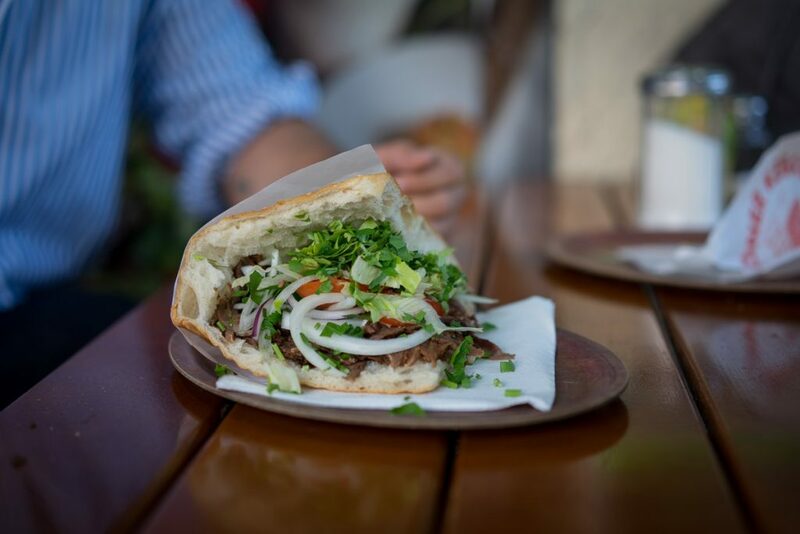 What started in 1993, is today commonly know as the best beef döner on the food scene, and people from all over Berlin flock to the Imren flagship store right off Kottbusser Damm for their insanely delicious meat kebab. There are today a total of six Imren Grills in Berlin and they are (as far as I know) operated by the same family but independently of each other. The flagship store with the best food is the one on Boppstraße in Kreuzberg and it’s that store this review covers. Can’t really vouch for the other locations – except for the one on Karl Marx Straße in Neukölln, that one is also fantastic. 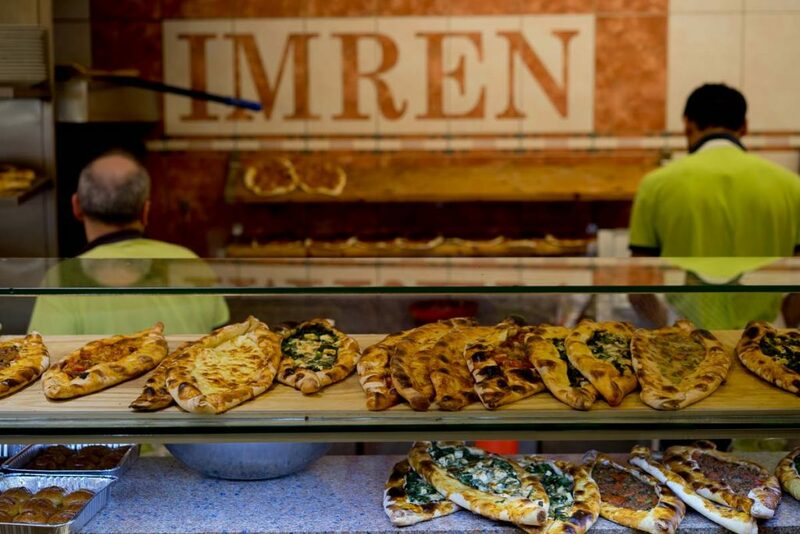 Walking in to Imren, you will (in vain) look for that cheap döner joint flair, although everything is scaled down and simplistic, the vibe of Imren breathes Turkish food culture and it is the go-to place for the local Turkish population. They come to Imren for the wide selection of Turkish dishes, but from the vast menu there are really only a few dishes you should focus on. First and foremost you have to appreciate the quality of the baked breads at Imren, everything is baked in house and most of it is done in front of your eyes à la minute. 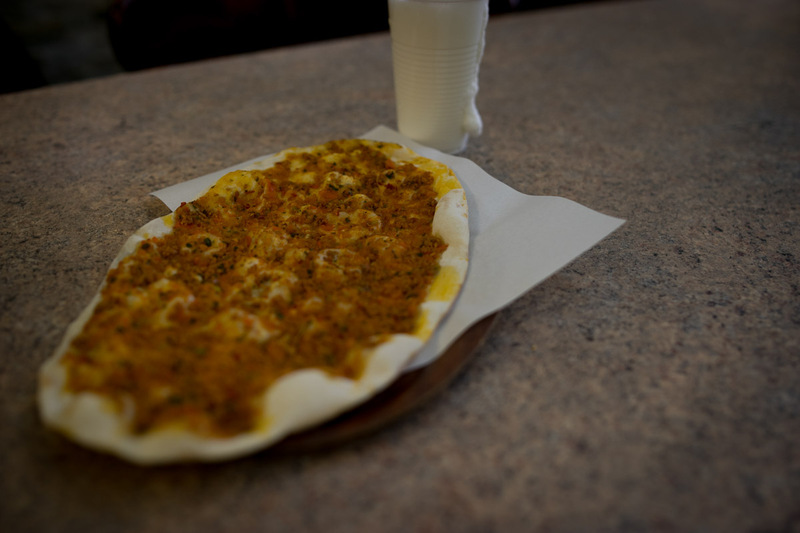 As a result, the golden, crisp Pide breads, filled with minced meat or spinach, are just as outstandingly damn tasty as the Lahmacun (Turkish pizza), all baked to crispy perfection right in front of your eyes. A Pide is not a must (although they are fantastic), but a tray of smoking Lahmacuns fresh from the oven with a squeeze of lemon is something you simply have to try. But then of course, who am I to distract from the grand prize: You’re here for the döner. Let me tell you why Imren’s döner kebab is so special. 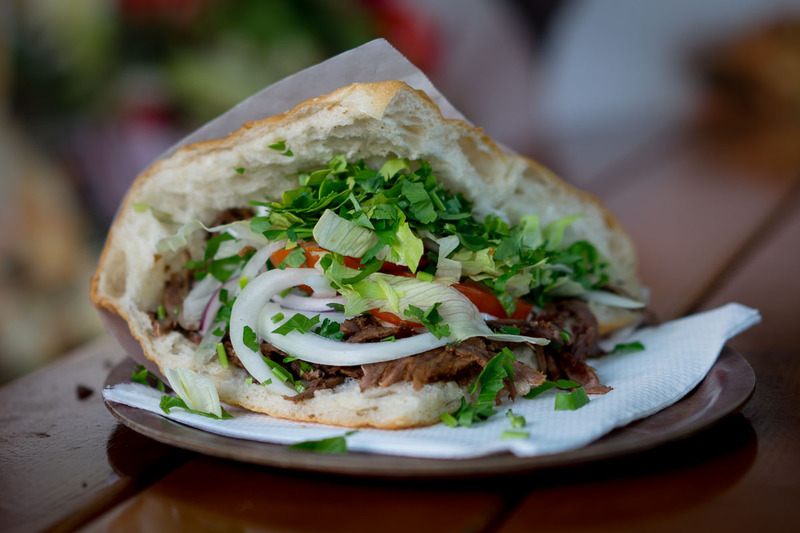 Essentially a döner lives of four main components: the bread, the meat, the condiments and the sauces. And Imren scores very high points in most of these categories. They bake their own flatbreads (which is highly unusual), they stack their own meat skewers (which is even more unusual) and they make their own sauces (which is –surprise!– unusual). This makes them a unicorn, and a damn delicious unicorn on top. The meat for the skewer is fatty cuts of beef, which have been marinated in spices and onions and layered with loads of fat and spices. 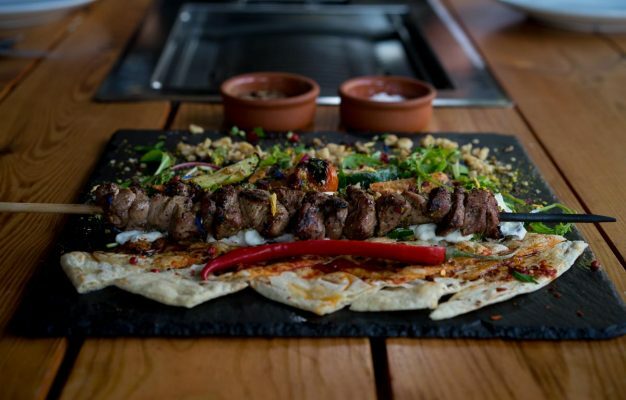 Grilled on the rotating skewer, packed in the perfectly crispy flatbread and mixed with the sauces –which for once aren’t sweet, and where the spicy sauce actually is spicy – this creates a taste explosion quite unlike it’s Berlin döner peers. It’s up to you if you eat it in the triangular flatbread or the Dürüm roll, in the end this is merely a question of preferences. My ultimate combo is classic döner in a flatbread with kräuter/scharf sauces and extra parsley. What you also shouldn’t miss is a glass of their fantastic homemade Ayran from their eternal Ayran fountain beneath the cashier. Their desserts are also not bad and the Künefe is baked in the oven for you upon ordering. 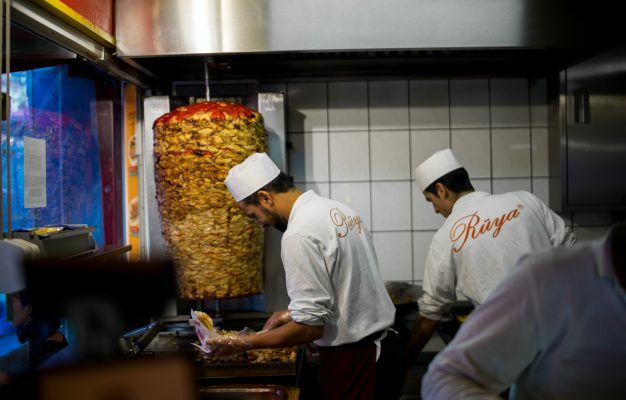 They say that there are over a 1000 döner kebab joints in Berlin. 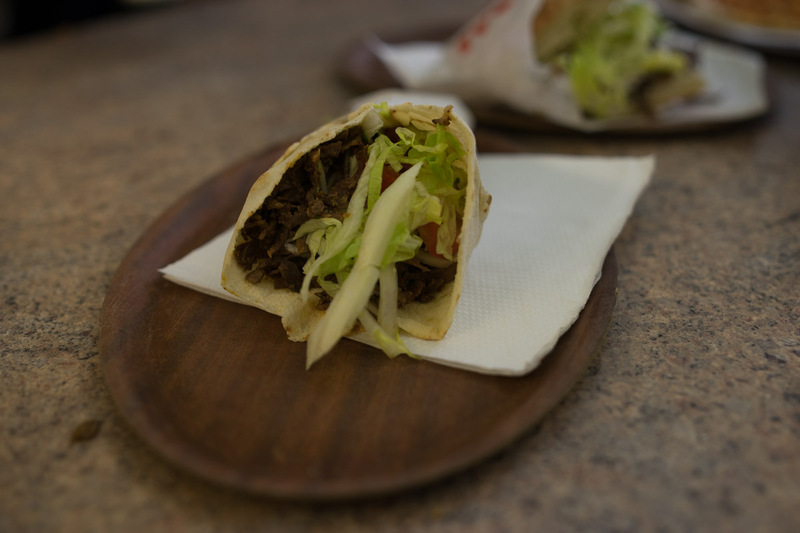 Don’t settle for an average döner, make it a marvellous döner from Imren.